Decluttering your space is supposed to be life changing. The problem with decluttering is that you have to go through your stuff first and that can be quite a task. 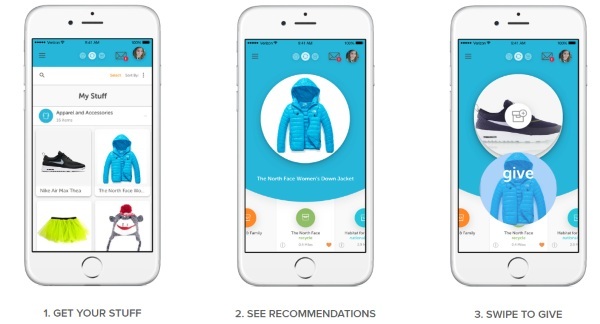 Stuffstr is the app that lets you declutter one item at a time with the click of a button. This app is Apple only which is a shame because it’s a neat concept. The first step is cataloging all of your items. You can add purchases as you make them. Obviously, you purchased them for a reason but if in the future you no longer need the item, then you can move onto phase two. The app recommends places for you to reuse or recycle them. Then you get rid of it. Decluttering doesn’t have to be a massive undertaking. There are items (like children’s clothing) that has a time frame of use but afterwards can be gotten rid of. This app may help some people take the stress out of cleaning up. Stuffstr is free for Apple products.